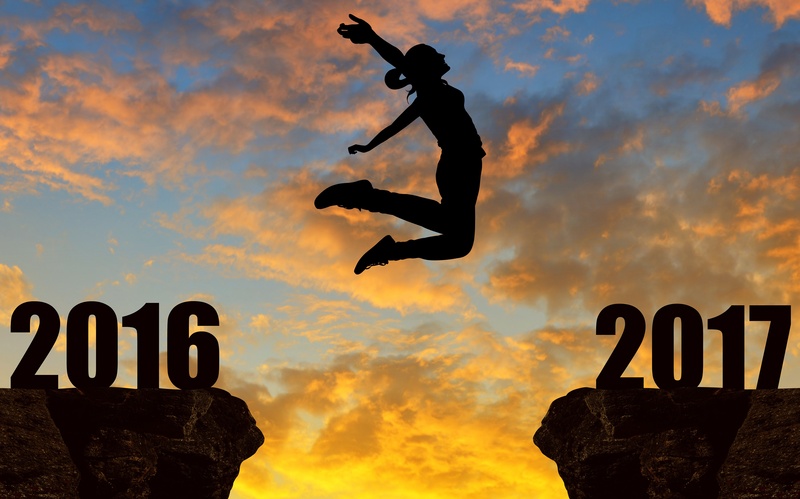 As the year draws to a close, we look back on some of the defining trends and talking points of 2016, and predict how 2017 will shape up for the world of trust marketing. As consumer trust in traditional broadcast advertising has continued to diminish, 2016 has been a breakthrough year for the phenomenon known as trust marketing. Whilst some brands still attached to conventional broadcast channels may be left feeling on the back foot as we approach the end of another year, for us, the continued increase in influence of word of mouth (and the growing role of referral marketing as part of that) has been one of the defining traits of marketing’s digital evolution. Throughout 2016, we’ve been heartened by the number of voices contributing some great ideas and insights related to trust marketing — from fascinating discussions on how brands can create greater authenticity in an increasingly sceptical digital age, to leveraging the trust between two individuals to improve brand marketing. Earlier this year, we picked up on a concept that was originally introduced back in 2012 in a piece published by The Atlantic. Whilst a lot of the online social sharing occurs via clearly visible and easily tracked channels (Facebook, Twitter, and YouTube etc. ), in reality, that’s the tip of the iceberg. The majority of online social sharing (including product referrals) actually occurs beneath the surface, via non-visible, not so public social channels. For example, private messenger apps, email... and of course, literal face-to-face interactions. These channels can be thought of as ‘dark social’. In an article we published earlier this year, we discussed the difficulties that dark social represents for referral marketers. Not least, with the recent huge surge in popularity of personal messenger apps such as WhatsApp. How can we begin to monitor, let alone leverage such channels? Though difficult, it’s by no means impossible. We put forth some handy tips and pointers on that very subject in our article on Dark Social. We’ve no doubt this is a topic that will continue to grow in prominence, going into 2017. In September, the social network announced what appeared to be a series of significant changes to its news feed algorithm. Publication of its ‘News Feed Values’ document, emphasising a clear commitment to prioritising friends’ over publishers’ interests. Announcement of an algorithm change to the Facebook newsfeed, designed to reduce volume of so-called ‘clickbait’ articles. Release of significantly improved Ad preference controls for users are released by Facebook. Unpicking facts from hearsay, we considered what Facebook might be hoping to collectively achieve from the above, and what it all could mean for trust marketing. All in all, we felt it was a good thin — allowing users to choose to see less of the unwanted paid-for content on their newsfeed and more authentic content from their peers. Of course, since September, Facebook has risked completely undermining all of the above, having become embroiled in a well documented ‘fake news’ controversy. Not so good for trust marketing. Despite Facebook’s best efforts to instill greater trust, could 2017 see large swathes of Facebook users abandoning ship, in favour of ‘dark social’ channels such as WhatsApp? Time will tell. Either way, we’re looking forward to seeing how this unfolds, next year. At the heart of the trust marketing ethos is the importance of allowing your customers to do the talking. 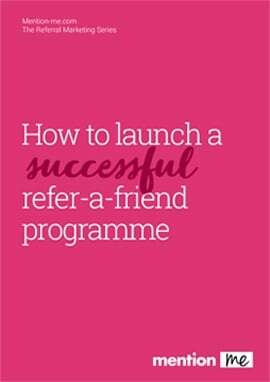 Referral campaigns are an obvious manifestation of that. User generated content (or UGC) marketing is also part of this mix, and can often act as a complementary aspect of referral campaigns. Whilst UGC is nothing new, 2016 has seen the influence of consumer-generated visual and multimedia content skyrocket. As this piece in The Drum discusses, it’s predicted that video will account for 82 per cent of all consumer internet traffic by 2020 owing to enormous popularity of Snapchat and Instagram. Figuring out how to leverage astronomical public demand for that content is going to be a big challenge for many brands in 2017. The Drum puts forward some interesting ideas on the subject, including the role of programmatic buying and automatic distribution of video. In our opinion, whilst UGC has a huge continuing role to play in trust marketing, we can’t help but suspect that ploughing large amounts of marketing spend into attempted influence of such content streams, seems like a pretty labour intensive way of yielding similar (or even weaker) results to those of refer-a-friend programmes, which tend to cost a fraction of paid social campaigns. Time will tell. As one Marketing Week article puts it, ‘Googlebox culture has come to advertising’. In other words, as consumer demand for authentic, trustworthy voices continues to grow, this year has seen a wave of high profile brands turning their backs on glitzy high budget ads awash with celebrity endorsements (and questionable acting) and instead opting for lo-fi affairs featuring real life customers. It comes as no surprise to advocates of trust marketing, and it’s a trend we’ve broadly welcomed and have been keeping a close eye on. As we discussed in our article on network marketing, all evidence suggests that brands are having to up their game (in a far more unforgiving, digital-first consumer landscape), think about shifting away from gimmicky advertising, and focus instead on honing an ability to craft more human, relatable stories. More authentic, customer-centric communication that create genuine connection and trust — there’s an idea that we can really get behind. Long may it continue to grow and thrive in 2017, and beyond. This has been an interesting one. The digital display advertising industry has been collectively scratching its head figuring out how to stay relevant in the age of the savvy, ad-blocker using consumer. Our our article on the subject of ad blocking argued that display advertising needs to empathise with, rather than fight against, the consumer’s preferences. If large swathes of an advertiser’s target audience are compelled to block ads, then it suggests that what the advertisers are producing simply isn’t good enough. It’s time to focus on creating more relevant, genuinely personalised experiences, rather than figure out how to coerce people into turning their ad blocking software off. This piece in Marketing Tech sets out a compelling vision of ‘a better way’. But more broadly, we argued that in context of the wider marketing mix, paid advertising isn’t the be all and end all. A whole new landscape of methods for connecting and building relationships with audiences has emerged that transcends old “push” marketing and advertising methods. From content marketing, through to refer a friend programmes, going forward, brands need to look beyond paid advertising, and embrace a more nuanced, multifaceted approach to building audiences. On that note, that’s a wrap for 2016! We hope we’ve provided you with plenty of food for thought over the course of 2016. Wishing you all a very happy holidays and best wishes for the New Year. See you then.